The Dubai Mall received over 75 million visitors last year, driving a sales boost of 26 percent. Over 40 percent of the visitors to the mall were tourists with a majority of the overseas visitors coming from Saudi Arabia and other GCC countries, China, India, Russia and Europe,” Emaar Properties said on Wednesday. Since the middle of January, due to the influx of tourists from Saudi Arabia, the Dubai Mall has extended its working hours. Currently the mall opens daily from 10 a.m. to 2 a.m., and food outlets until 3 a.m. This will continue till Feb. 2, according to sources. Following the footfall of 54 million in 2011 and 65 million in 2012, the mall recorded a 15 percent growth in visitor numbers during 2013, with an average monthly footfall of 6.25 million. The number of visitors surpassed the number of shoppers at the world’s other leading malls such as Mall of America and Bullring Birmingham, the UK (40 million each); Intu Trafford Centre, the UK (30 million); Part Dieu Lyon, France (29.4 million); and West Edmonton Mall, Canada (28 million). The mall’s 1,200 plus retail outlets recorded a 26 percent rise in sales during 2013 compared to the previous year. More than 50 percent of all luxury goods sold in Dubai were purchased at the mall, with its dedicated Fashion Avenue hosting the world’s largest collection of fashion brands under one roof. 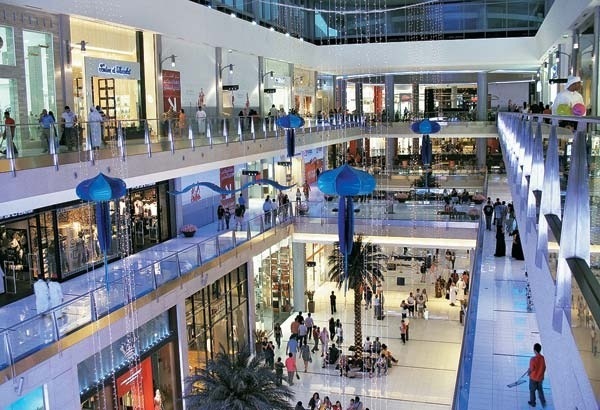 “The socioeconomic impact of the mall on the emirate’s economy is tremendous, having generated more than 25,000 jobs and consistently driving the growth of the city’s retail, leisure, and hospitality sectors the core contributors to Dubai’s GDP,” said Abdulla Lahej, group CEO of Emaar Properties. Posted on January 30, 2014, in #middleast, #retail. Bookmark the permalink. Leave a comment.